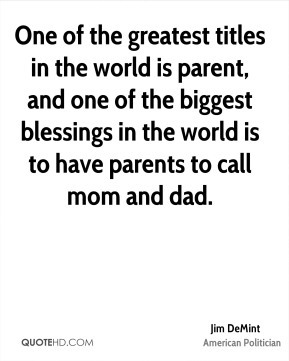 My children are my greatest blessings in my life, and they bring me great joy. 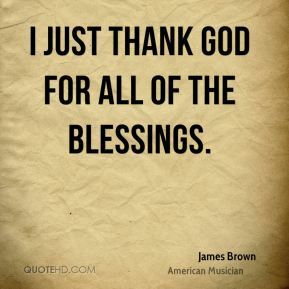 I thank God for His many blessings He has given me, but money and prestige are not what it's about. 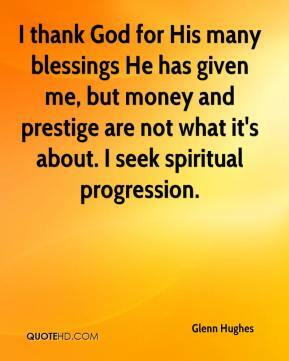 I seek spiritual progression. 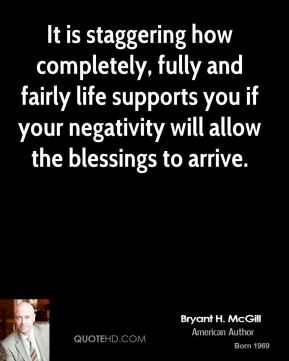 It is staggering how completely, fully and fairly life supports you if your negativity will allow the blessings to arrive. 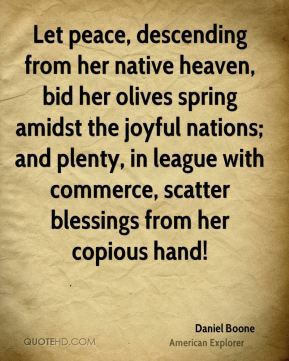 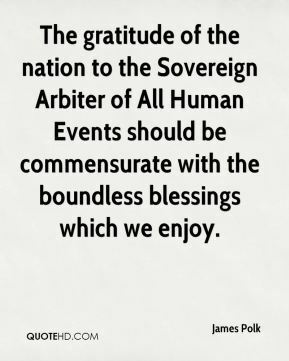 The gratitude of the nation to the Sovereign Arbiter of All Human Events should be commensurate with the boundless blessings which we enjoy. 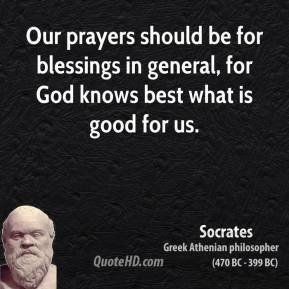 We can count our blessings that no one was seriously injured. 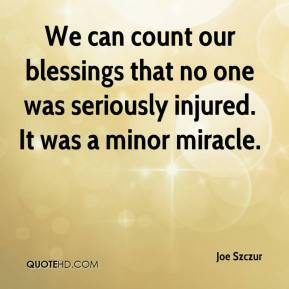 It was a minor miracle. 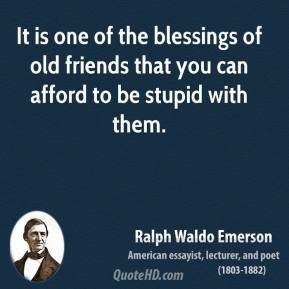 I got lucky. 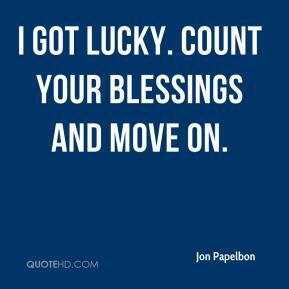 Count your blessings and move on. 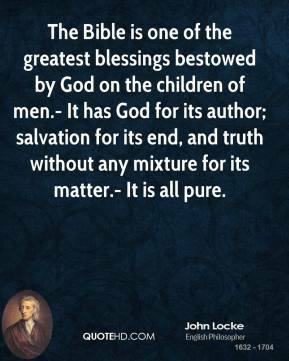 The Bible is one of the greatest blessings bestowed by God on the children of men.- It has God for its author; salvation for its end, and truth without any mixture for its matter.- It is all pure. 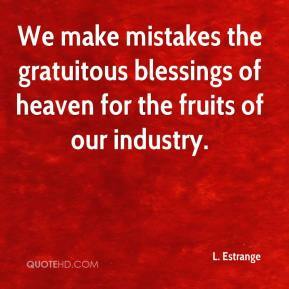 We make mistakes the gratuitous blessings of heaven for the fruits of our industry. 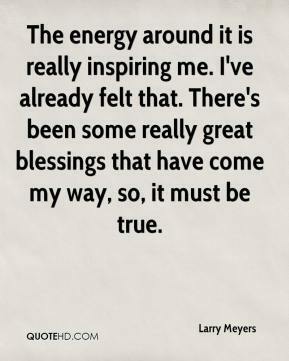 The energy around it is really inspiring me. 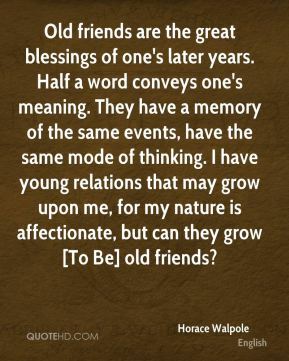 I've already felt that. 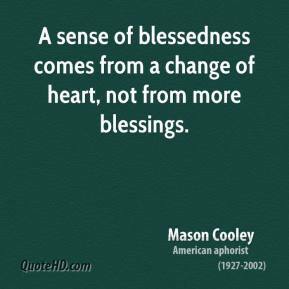 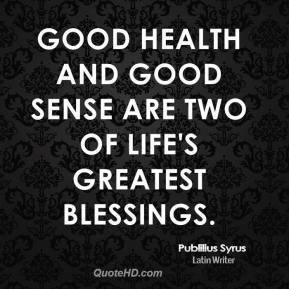 There's been some really great blessings that have come my way, so, it must be true. 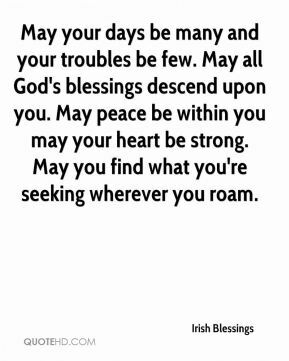 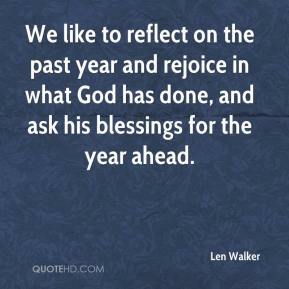 We like to reflect on the past year and rejoice in what God has done, and ask his blessings for the year ahead. 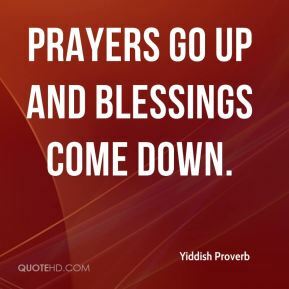 God has overwhelmed me with blessings, and I am led to share them with others. 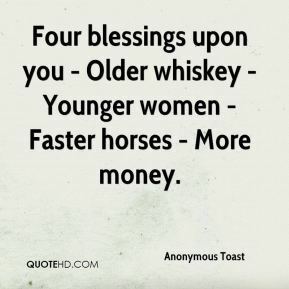 Four blessings upon you - Older whiskey - Younger women - Faster horses - More money. 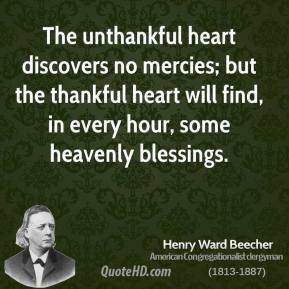 That's why you count your blessings when you get here. 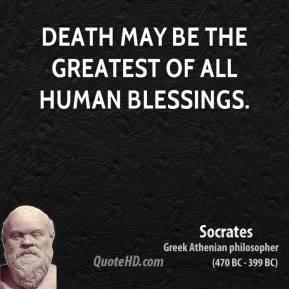 You realize how fortunate you are.